More than any other public figure, VOclav Havel has reflected on the opportunities and dilemmas facing humankind as a result of the Communism's collapse. His life serves as an example of responsible and moral action, even at the cost of much personal suffering. In the first book to bring together Havel's life and work, James Pontuso examines the Czech president's political philosophy. Pontuso argu… es that Havel's life as a dissident and political leader, his political writings, and his plays are part of a whole and must be understood as intimately connected to one another. 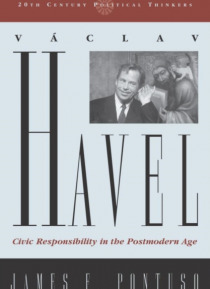 In this engaging work, Pontuso skillfully explores these connections and explains Havel's prescriptions for political life.